New User in SAP, Click here to know your user name and password. 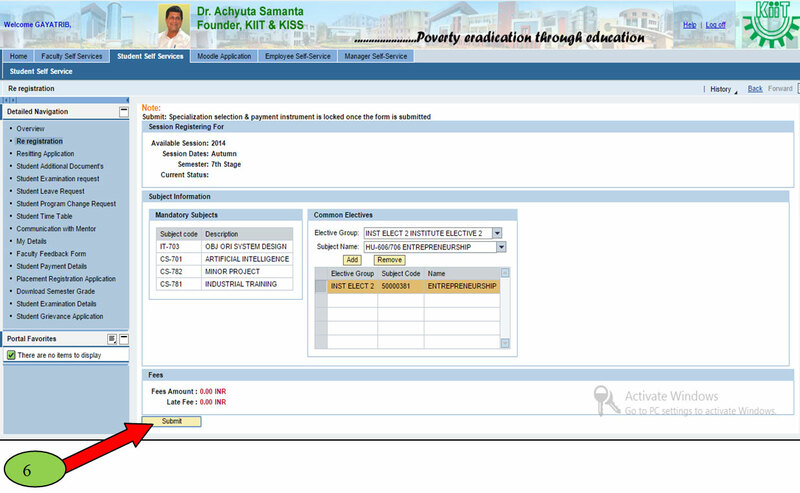 After Logging in, go to Student Self Service, as shown below with red arrow. Click On the link Semester/Year Re-registration. To Re-register for the next semester/year, you need to get approval by your FacultyAdvisor/ Mentor. So, if you see message as shown below, then Meet your Faculty Advisor/ Mentor for approval. After getting approval, if you see message like shown below, it means you have fee dues. So you need to contact Account section for fee clearance. 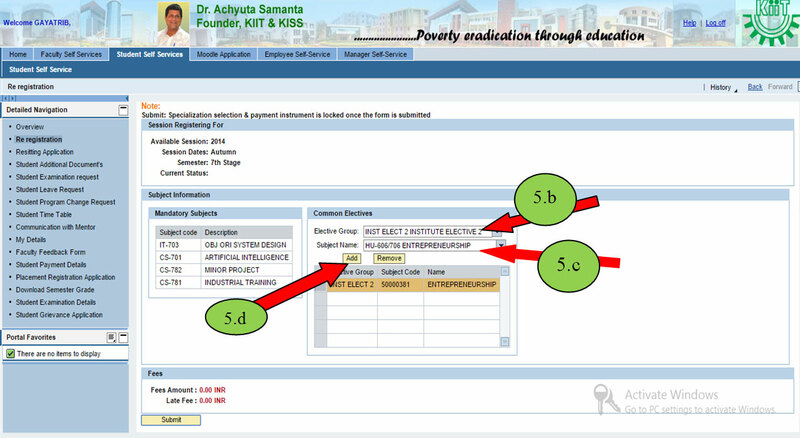 If step 3 and 4 is clear, then you can book subjects for the next semester. 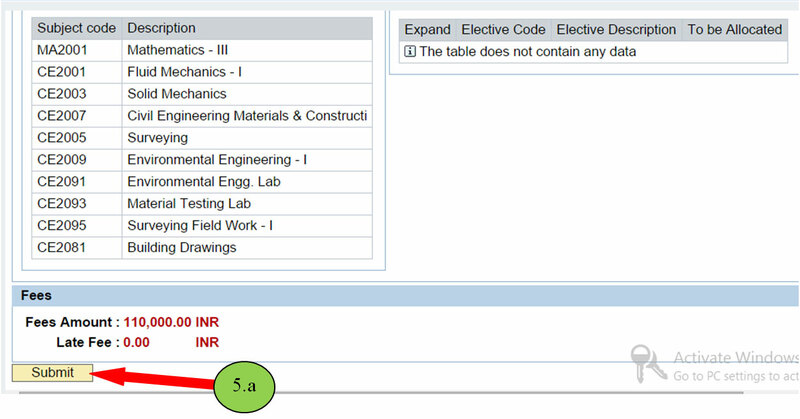 If there is any electives then select the elective group from the drop down menu. Select the subject to book from the respective elective group. Note:- If you have 3 different elective groups you have to select paper from each elective group, before submitting.